We love exciting new projects….especially if it is outside our normal realm of work. 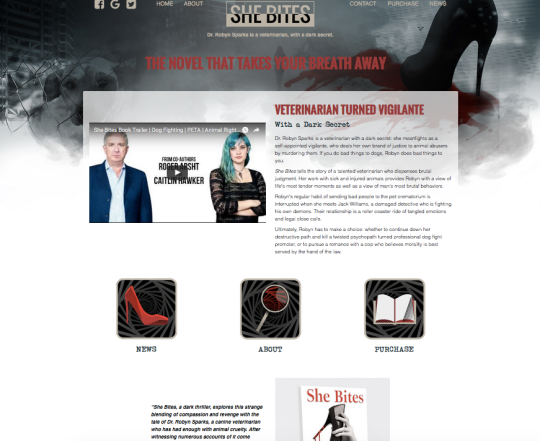 When the author of She Bites came to us, he told us a bit about the plot line, and what he and his co-author wanted. The story focuses on a dedicated veterinarian who takes care of people who abuse the animals she treats. It is a dark novel, with a seriously lethal protagonist. We knew this would be a custom build, and it would need some seriously great graphics! Come on! The site on a mobile device looked killer too, with the visuals that we had put together. We put the author in touch with our secret weapon-our stellar designer, Ai, and she was inspired by the novel to create a dark color palette, with hints of red. 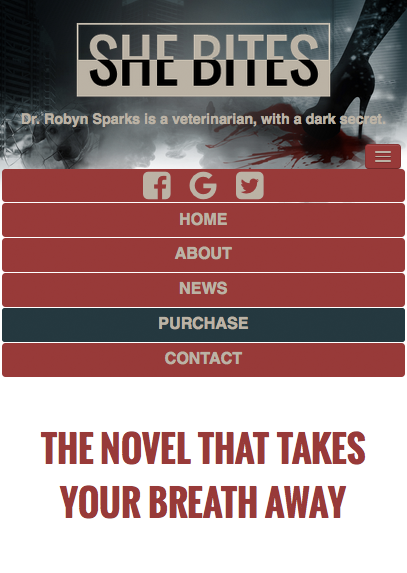 The Contact page was left simple-listing only contact and social media info, so followers can find out what is going on with the She Bites sequel…because, heck, we read the book, and it totally left us wanting to know what happens next with the eerie Dr. Sparks. If you are looking for some beautiful, custom graphics, contact us!Â Nothing dresses up your site more than visuals customize to YOUR website. It adds so much. 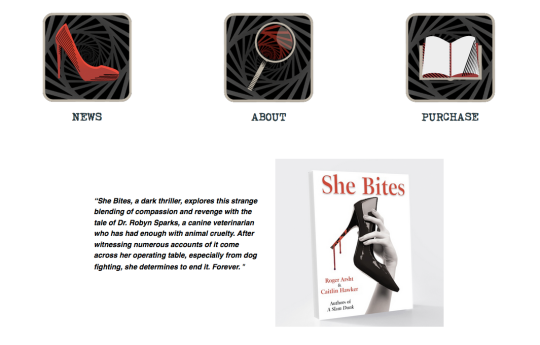 We loved how this site turned out, and hope those over She Bites feel the site reflects their story. Go check out the book! It was fast-paced thriller, and we think would make a great movie or television series. Canâ€™t wait to read what happens next! Welcome to the YOKO site. A completely responsive site that looks great on any device.